$1 Sweet Steamy Romantic Suspense Deal of the Day! $1 Sweet Steamy Romantic Suspense Deal! 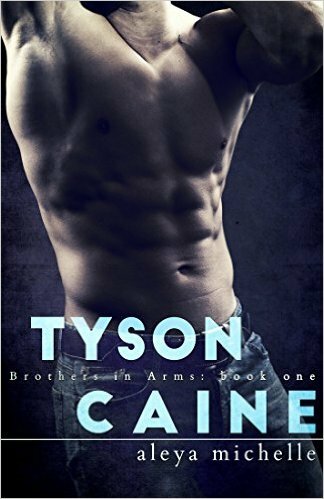 *TYSON CAINE: Book 1 in the Brothers in Arms Series (Brothers in Arms Book 1) (Deal, Not Free) by Aleya Michelle, GypsyHeart Editing. Price: $0.99. Genre: Steamy Romantic Suspense Deal of the Day, Sponsor, Sports Romance, New Adult & College Romance, Romantic Suspense. Rated: 4.2 stars on 11 Reviews. 222 pages. ASIN: B01G694NII. *(Box Set Deal, Not Free) Murder, They Wrote: Four SkipJack Mysteries (Deal, Not Free) by Pamela Fagan Hutchins, Ken Oder, R.L. Nolen, Marcy McKay. Price: $0.99. Genre: Mystery Box Set Deal of the Day, Sponsor, Women Sleuths, Suspense Thriller. Rated: 4.6 stars on 17 Reviews. ASIN: B019YGWC8I. $1 Steamy Contemporary Romance Box Set Deal – 16 Excellent Romances Inc. 4 NYT & 4 USA Today Bestsellers! $1 16-Book Steamy Romance Box Set Deal! 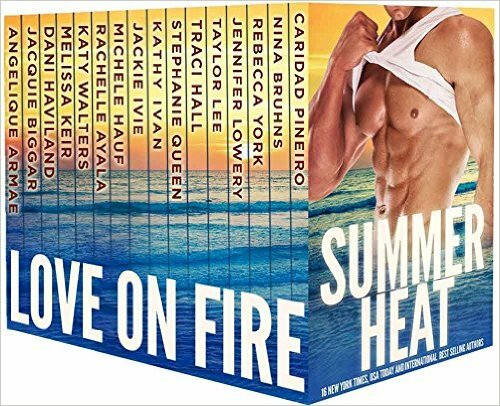 **Summer Heat – Love on Fire: 16 Contemporary Romances (Deal, Not Free) by Caridad Pineiro, Nina Bruhns, Rebecca York, Jennifer Lowery, Taylor Lee, Traci Hall, Stephanie Queen, Kathy Ivan, Jackie Ivie, Michele Hauf, Rachelle Ayala, Katy Walters, Melissa Keir, Dani Haviland, Jacquie Biggar, Angelique Armae. Price: $0.99. Genre: Steamy Romance Box Set Deal of the Day, Sponsor, USA Today Bestselling Authors, Contemporary Romance, Sports Romance. Rated: 4.9 stars on 46 Reviews. 745 pages. ASIN: B01C68B7W8. 4 NY Times Bestselling Authors & 4 USA Today Bestselling Authors. 2 $1 Kindle Cheap Box Set Book Deals of the Day! *(Box Set Deal, Not Free) Murder, They Wrote: Four SkipJack Mysteries (Deal, Not Free) by Pamela Fagan Hutchins, Ken Oder, R.L. Nolen, Marcy McKay. Price: $0.99. Genre: Mystery Box Set Deal of the Day, Sponsor, Women Sleuths, Suspense Thriller. Rated: 4.6 stars on 17 Reviews. ASIN: B019YGWC8I. ***(Box Set Deal, Not Free) The Blood Prince Series, Books 1-3: Before Midnight, One Bite, and Golden Stair (Deal, Not Free) by Jennifer Blackstream. Price: $0.99. Genre: Adult Romance Box Set Deal of the Day, Sponsor, Fantasy, Vampires, Werewolves & Shifters. Rated: 4.8 stars on 86 Reviews. 567 pages. ASIN: B01A3ILZWA. Posted on May 30, 2016 Author KibetCategories Cheap Box SetTags Kindle Box Set DealsLeave a comment on 2 $1 Kindle Cheap Box Set Book Deals of the Day! ***(Box Set Deal, Not Free) The Blood Prince Series, Books 1-3: Before Midnight, One Bite, and Golden Stair (Deal, Not Free) by Jennifer Blackstream. Price: $0.99. Genre: Adult Romance Box Set Deal of the Day, Sponsor, Fantasy, Vampires, Werewolves & Shifters. Rated: 4.8 stars on 86 Reviews. 567 pages. ASIN: B01A3ILZWA. *(Box Set Deal, Not Free) SIX JOHN JORDAN MYSTERIES (Deal, Not Free) by Michael Lister. Price: $0.99. Genre: Hard-Boiled Mystery Box Set Deal of the Day, Sponsor, Police Procedurals, 9 Book Box Set. Rated: 4.7 stars on 10 Reviews. ASIN: B00WJ9HBFW. **(Box Set Deal, Not Free) The Blood Prince Series, Books 1-3: Before Midnight, One Bite, and Golden Stair (Deal, Not Free) by Jennifer Blackstream. Price: $0.99. Genre: Historical Fantasy Box Set Deal of the Day, Sponsor, Romance, General Humor. Rated: 4.8 stars on 86 Reviews. 567 pages. ASIN: B01A3ILZWA. **The Blood Prince Series, Books 1-3: Before Midnight, One Bite, and Golden Stair (Deal, Not Free) by Jennifer Blackstream. Price: $0.99. Genre: Historical Fantasy Box Set Deal, Sponsor, Romance, General Humor. Rated: 4.8 stars on 86 Reviews. 567 pages. ASIN: B01A3ILZWA. *(Box Set Deal, Not Free) Only a Duke or Laird Will Do: Scintillating Tales of Noble Passion (Deal, Not Free) by Allie Mackay, Sue-Ellen Welfonder, Brenda Jernigan. Price: $0.99. Genre: Adult Scottish Historical Romance Box Set Deal of the Day, Sponsor, USA Today Bestselling Author, Regency Romance, Viking, Ancient World, Scottish, Medieval, Regency. Rated: 5 stars on 1 Reviews. ASIN: B01ES4RZCE. *(Box Set Deal, Not Free) Supernatural Bites: Four Urban Fantasies To Sink Your Teeth Into: A Young Adult Urban Fantasy and Paranormal Romance Box Set by G.K. DeRosa, J.N. Colon, T.L. McDonald, Kristin D. Van Risseghem. Price: $0.99. Genre: YA Paranormal Romance Box Set Deal of the Day, Sponsor, Paranormal & Urban. Rated: 5 stars on 1 Reviews. ASIN: B01F2E8MQC. *Only a Duke or Laird Will Do: Scintillating Tales of Noble Passion (Deal, Not Free) by Allie Mackay, Sue-Ellen Welfonder, Brenda Jernigan. Price: $0.99. Genre: Adult Scottish Historical Romance Box Set Deal, Sponsor, USA Today Bestselling Author, Regency Romance, Viking, Ancient World, Scottish, Medieval, Regency. Rated: 5 stars on 1 Reviews. ASIN: B01ES4RZCE. $1 Steamy Scottish Historical Romance Box Set Deal! 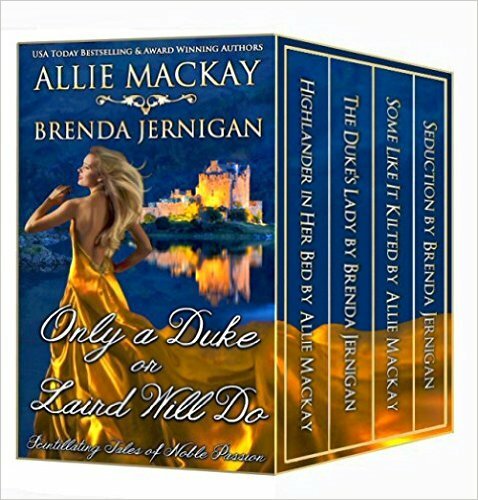 *(Box Set Deal, Not Free) Only a Duke or Laird Will Do: Scintillating Tales of Noble Passion (Deal, Not Free) by Allie Mackay, Sue-Ellen Welfonder, Brenda Jernigan. Price: $0.99. Genre: Steamy Scottish Historical Romance Deal of the Day, Sponsor, Regency Romance, Viking, Ancient World, Scottish, Medieval, Regency. Rated: 5 stars on 1 Reviews. ASIN: B01ES4RZCE. ***(Box Set Deal, Not Free) Paws and Claws (Volume 3): 14 Book Shifter Romance Bundle (Deal, Not Free) by Selena Kitt, Crystal Dawn, Fel Fern, Holley Trent, Vivienne Savage, Alana Hart, Sophia Barron, Aurora Woodlove, Crystal L. Shaw, Layla Nash, Leslie Chase, Lily Thorn, Mercy May, Tiffany Wilde, Sophie Stern. Price: $0.99. Genre: Steamy Shifter Romance Deal of the Day, Sponsor, NY Times Bestselling Authors, Contemporary Women, Women’s Fiction. Rated: 4.7 stars on 107 Reviews. ASIN: B01FE1LWRE. Box Set from the hottest Shifter Romance Authors Inc. NY Times Bestselling Authors. *(Box Set Deal, Not Free) Only a Duke or Laird Will Do: Scintillating Tales of Noble Passion (Deal, Not Free) by Allie Mackay, Sue-Ellen Welfonder, Brenda Jernigan. Price: $0.99. Genre: Adult Scottish Historical Romance Box Set Deal of the Day, Sponsor, Regency Romance, Viking, Ancient World, Scottish, Medieval, Regency. Rated: 5 stars on 1 Reviews. ASIN: B01ES4RZCE. *(Box Set Deal, Not Free ) Supernatural Bites: Four Urban Fantasies To Sink Your Teeth Into: A Young Adult Urban Fantasy and Paranormal Romance Box Set by G.K. DeRosa, J.N. Colon, T.L. McDonald, Kristin D. Van Risseghem. Price: $0.99. Genre: YA Paranormal Romance Box Set Deal of the Day, Sponsor, Paranormal & Urban. Rated: 5 stars on 1 Reviews. ASIN: B01F2E8MQC. $1 Shifter Romance Box Set Deal! 14 Fantastic Books Including NY Times Bestselling Authors! Superb 14-Book Steamy Romance Box Set Deal of the Day! *Supernatural Bites: Four Urban Fantasies To Sink Your Teeth Into: A Young Adult Urban Fantasy and Paranormal Romance Box Set (Deal, Not Free) by G.K. DeRosa, J.N. Colon, T.L. McDonald, Kristin D. Van Risseghem. Price: $0.99. Genre: YA Paranormal Romance Box Set Deal, Sponsor, Paranormal & Urban. Rated: 5 stars on 1 Reviews. ASIN: B01F2E8MQC. **Pressure Cooker: Pressure Cooker: 365 Pressure Cooker Recipes: Pressure Cooker Cookbook: Instant Pot Pressure Cooker Cookbook- Electric Pressure Cooker … Cooker Cookbook, Instant Pot Pressure) (Deal, Not Free) by Amazing Foods, Carl Preston. Price: $0.99. Genre: Cookbook Box Set Deal of the Day, Sponsor, 365 Pressure Cooker Recipes, High Protein, Pressure Cookers. Rated: 4.3 stars on 63 Reviews. 438 pages. ASIN: B01BH43KC2. *(Box Set Deal, Not Free) Trouble Boxed Set (New Adult Rock Star Romance): Katie and Tyler’s Story (Trouble Boxed Sets Book 2) (Deal, Not Free) by Emme Rollins. Price: $0.99. Genre: Adult Romance Box Set Deal of the Day, Sponsor, NY Times Bestselling Author, Psychological, Women’s Fiction. Rated: 5 stars on 25 Reviews. 530 pages. ASIN: B01F1472LO. NY Times Bestselling Author Emme Rollins. $1 NY Times Bestselling Author Kindle Cheap Box Set of the Day! Excellent $1 NY Times Bestselling Author Steamy Romance Box Set Deal! *(Box Set Deal, Not Free) Trouble Boxed Set (New Adult Rock Star Romance): Katie and Tyler’s Story (Trouble Boxed Sets Book 2) (Deal, Not Free) by Emme Rollins. Price: $0.99. Genre: Steamy Romance Box Set Deal of the Day, Sponsor, NY Times Bestselling Author, Psychological, Women’s Fiction. Rated: 5 stars on 25 Reviews. 530 pages. ASIN: B01F1472LO. NY Times Bestselling Author Emme Rollins. **(Box Set Deal, Not Free) Paws and Claws (Volume 3): 14 Book Shifter Romance Bundle (Deal, Not Free) by Selena Kitt, Crystal Dawn, Fel Fern, Holley Trent, Vivienne Savage, Alana Hart, Sophia Barron, Aurora Woodlove, Crystal L. Shaw, Layla Nash, Leslie Chase, Lily Thorn, Mercy May, Tiffany Wilde, Sophie Stern. Price: $0.99. Genre: Steamy Shifter Romance Box Set Deal of the Day, Sponsor, NY Times Bestselling Author, Paranormal Romance, Werewolves & Shifters. Rated: 4.7 stars on 86 Reviews. ASIN: B01FE1LWRE. Posted on May 14, 2016 Author KibetCategories $1 NY Times Bestselling AuthorTags Kindle Box Set DealsLeave a comment on $1 NY Times Bestselling Author Kindle Cheap Box Set of the Day!